Pilatus receives orders for 84 PC-24s on the first two days of the 2014 European Business Aviation Convention & Exhibition, filling up production capacities until the end of 2019. The manufacturer does not currently accept any further orders. One of the buyers is Nestlé president Peter Brabeck. Pilatus presents the first PC-24 prototyp to some 35,000 spectators at Buochs airport on Swiss National Day. “I’m absolutely bursting with pride. I’m proud we’re able to do something like this in Switzerland”, says Federal Council member Ueli Maurer. The first PC-24 takes off for its maiden flight. Prototype P01, with registration HB-VXA, immediately demonstrates its capabilities: It takes off after just 600 meters, and climbs to an altitude of 10,000 feet in around three minutes. It is in the air for 55 minutes. P02 with registration HB-VXB flies for 82 minutes on its maiden flight. By this time, P01 has already clocked up 143 flight hours over 87 flights. After its initial test flights in Switzerland, the second prototype is primarily intended to be used in the USA and Canada, where it will help to fulfill the entire test-flight program quota of around 2300 flight hours. P02 successfully undertakes its first trans-Atlantic flight, landing in Broomfield, in the US state of Colorado. Both prototypes have already completed 300 flights and 500 flight hours in Switzerland, Spain, Scotland and Iceland. Pilatus itself is still keeping a low profile. But the Luzerner Zeitung reports: „Pilatus clandestinely conducted engine tests on its third prototype of the PC-24 at Buochs airport on Monday. It is the first time the aircraft has left the production plant.” According to the newspaper, the aircraft is painted blue and white, registered under HB-VSA, and is also set to be the first series aircraft. The PC-24 is due to be certified in the 3rd quarter of 2017, with initial deliveries to customers such as US aviation company Planesense and the non-profit Royal Flying Doctor Service of Australia set to follow soon after. Want to see what the PC-24 looks like on both the inside and outside? Then take a look here. 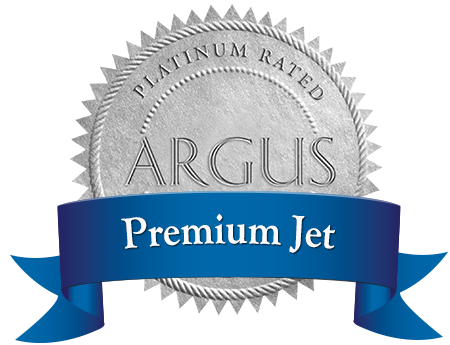 If you have any questions, the Premium Jet experts will be glad to assist. We look forward to hearing from you.